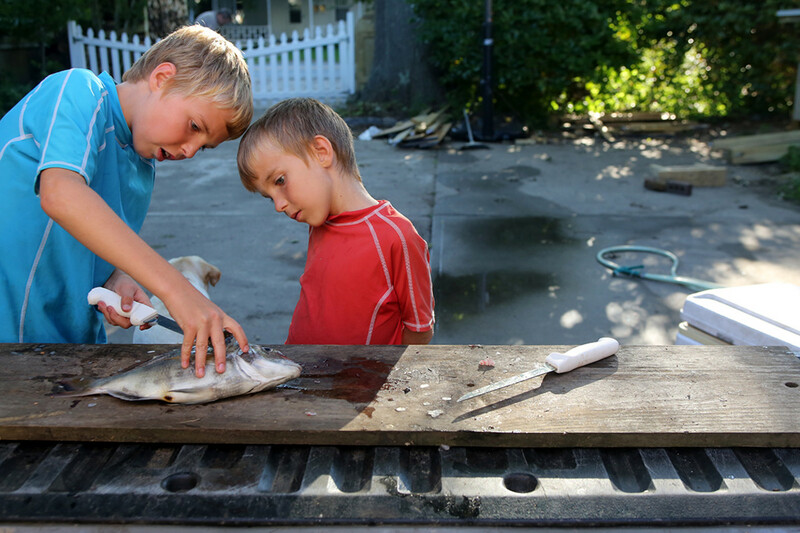 Building a life of fishing and family, away from the world’s trouble spots. The sun was almost down when Jack called out. 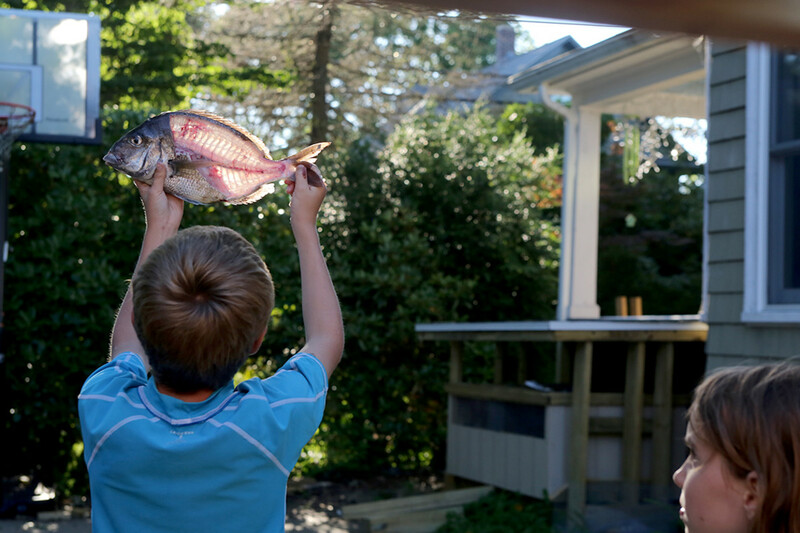 “I’m on,” he said, and I watched him lean back as the fish turned and made its first run. 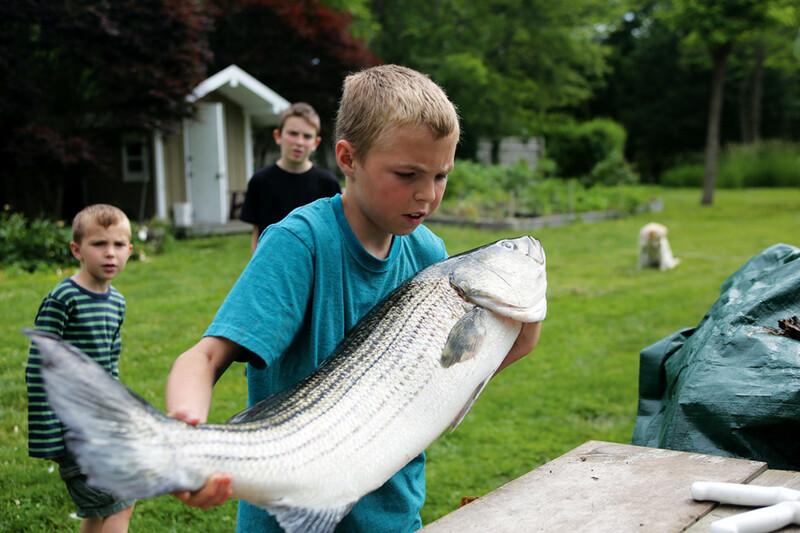 Jack is 13, an age when he seems to grow about an inch each month, and now he was showing a newfound proficiency with the heavy spinning tackle we use to cast large live eels over shallow New England rock piles. 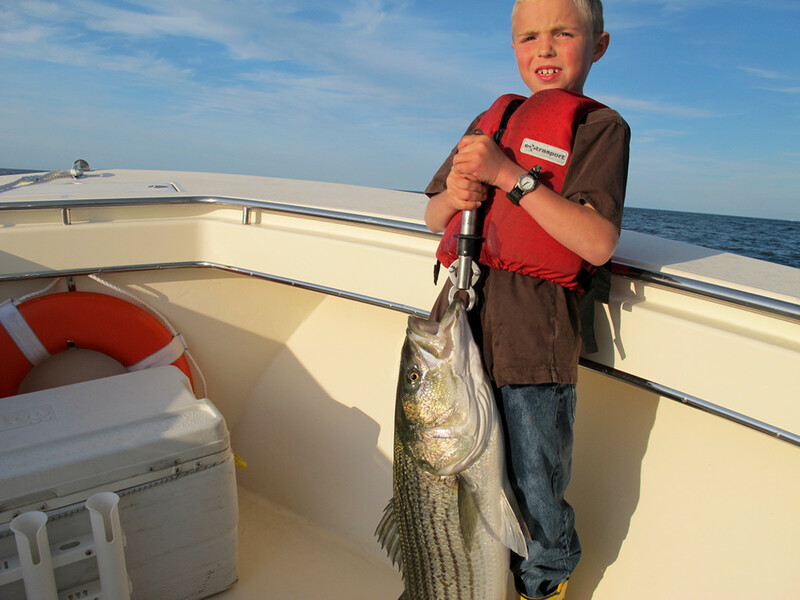 Judging from the bend in his rod and the whirring of the reel, he had just put a hook into a striped bass of at least 20 pounds. Our open-deck 26-foot boat was drifting northeast, pushed along cross-tide by the southwest breeze, and there was nothing more than a few distant lobster pots down-drift to worry over, assuming he could keep the fish from burrowing between boulders. He looked away from the water long enough for his eyes to meet mine. “It’s a good one,” he said as more line peeled off. In that flash I saw deep happiness and knew, as everyone wants to know, that for this moment we were living as we wished. Two days earlier, shortly after a mid-June dawn, I had stood beside the boat as she waited on a yard trailer to be launched for the first time of the year. Our town was quiet, warm and humid; Main Street was a carless hush. 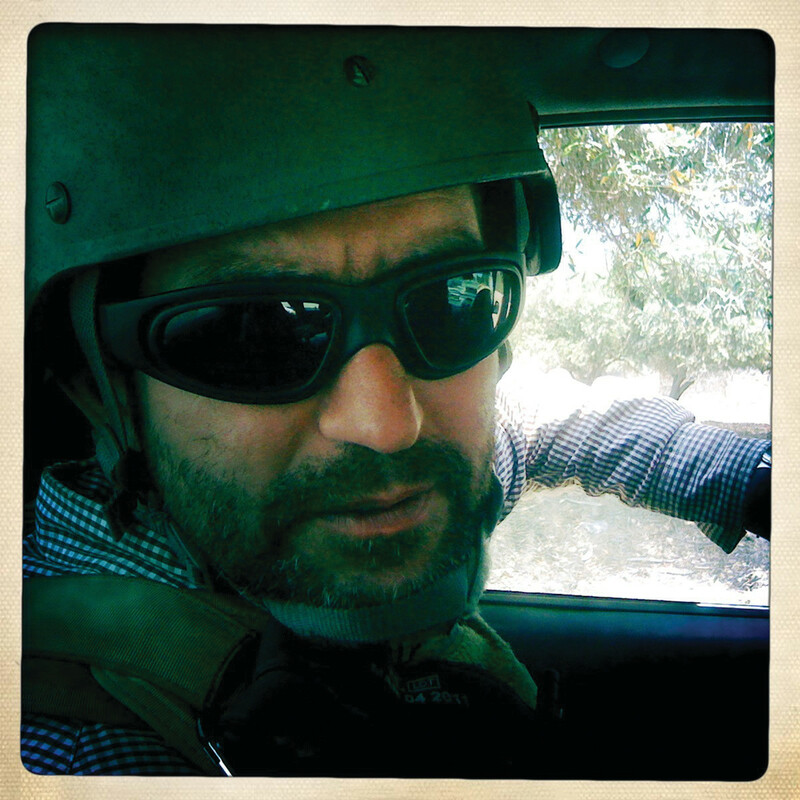 I am a reporter who works in the field overseas, covering conflict, the arms trade and human rights — the mixed elements of a job that is both a privilege to have and an endlessly repeating tour of ugliness to live. 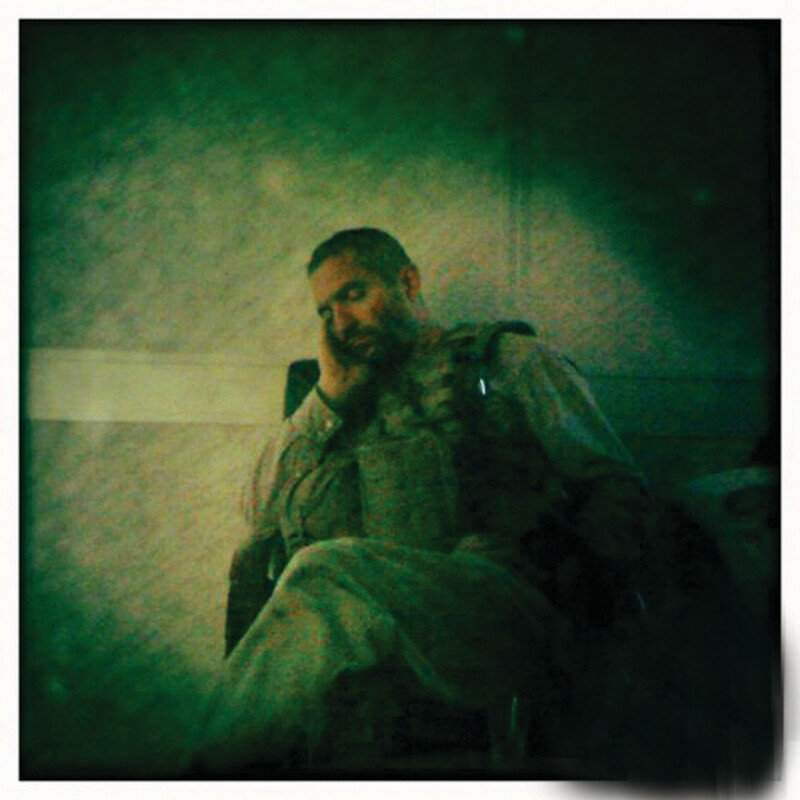 I had just returned from Iraq, the last stop on a trip through Turkey in turmoil and with rebels in Syria. 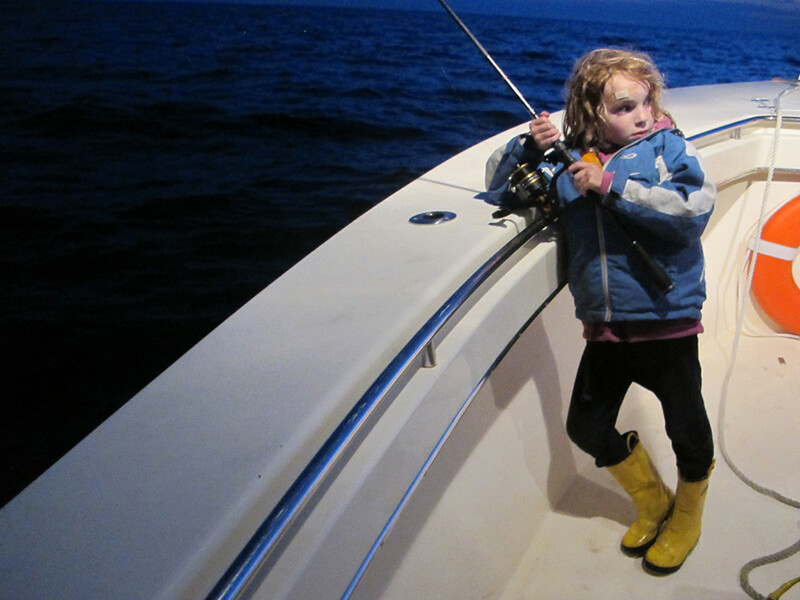 I had been gone three weeks — enough time to miss a good patch of fluke fishing and what is usually the height of our inshore run of spring squid. I felt tardy, as if while working away from home I had been missing my life. It had been a 40-hour trip back, almost without sleep, and as I surveyed the hull I was jet-lagged and putting myself quietly through the psychological reset that accompanies toggling between different worlds. The boat was clean, as she always is at the start of the fishing season, which this year was beginning woefully late. A near trance took over. 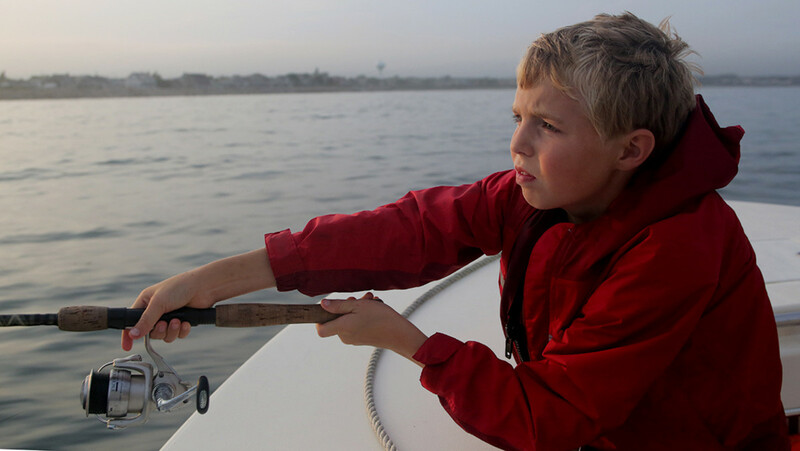 Fishing and the water life form a through-line in our lives, embedded in memory and in the vision of our futures, too. They are two of the few things I cannot remember not having and cannot imagine giving up. We chose to settle here for the fish and the life they offer. We eat the fish and bury the fish frames out back in a near midden in which we grow potatoes and onions to eat with the fish. Looking up at the boat as she rested on the trailer, I walked one slow loop around her, taking stock of the familiar flared bow, examining the dual outboards with the props removed, noting the scratches and scrapes from her years of work set against her overall sturdy and confident state. She is 5 years old now; my wife and I bought her after a long stint overseas. Our plan was to raise our children on her, making her and the sea a challenge and a sanctuary, a means to spend time together and to teach what needs to be taught. With her we would gather protein and spend our time away from the distractions that seem to dilute so many other peoples’ lives and threatened to dilute ours. The hull sported a fresh black coat of bottom paint. We’d chosen this boat smartly; she was purpose-built and matched exactly to what we do. And now, as the harvest was to begin again, she seemed almost to greet us, the way a chainsaw and maul can speak to you when you reach for them after a storm has brought down a big oak. It was time, I knew, to fish. Back home that day, squinting through a fog of sleeplessness, I pushed open the door to the other side of my work shed, past the laptop I write on, to a room where we are raising a batch of chickens and where much of the fishing tackle is stored. I lifted four rods from their place, examined the fresh line on each reel. I retrieved the ditch bag, checked the dates on the flares, the contents of the first-aid kit, and the battery charges on the EPIRB and floating two-way radio. We tossed the life jackets into the pickup truck. I pulled the cooler from the feed shed. Everything was set. The thrust of my work is far away, on the other side of the globe. But we live locally and try to eat locally. 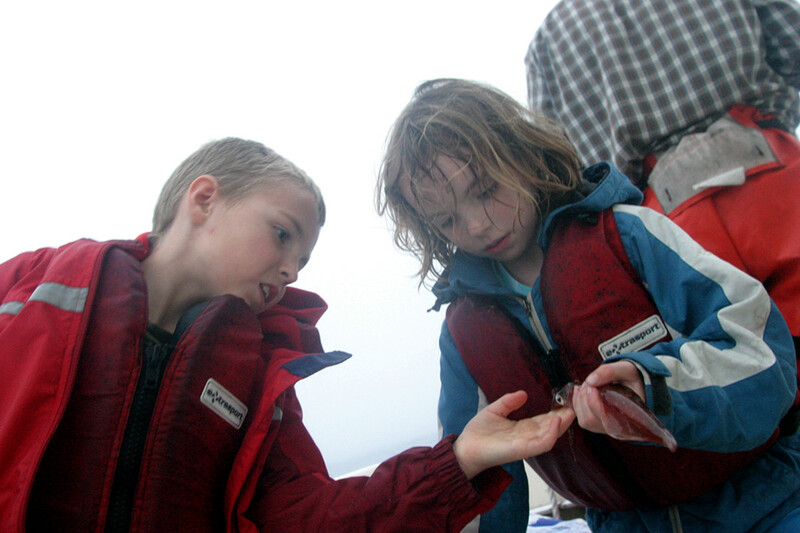 A boat can tie many loose strands together as long as you use her whenever you can. In the evening Jack was in the truck ahead of me. The night was supposed to be chilly, and I told him we might stay late. He shrugged, his way of letting me know he did not care. Soon we were off the dock, and it was a memory fading behind us as the bow pointed down-channel, toward the sea. I had just come home. Part of me was still far away. I needed rest. Rest could wait. From my place in the stern I watched Jack in the bow. He seemed to know what he was doing. He kept after the fish without trying to overpower her, and as she circled the boat he walked calmly along the gunwales, following her lead. She tired by the third run, and Jack kept her down-tide off the starboard side, then led her into the extended net. She weighed about 23 pounds. It was sunset. Jack’s grin seemed to strain his face. I pulled down the fish’s jaw, reached inside, slid my entire hand deep into the mouth, worked out the hook and laid her across ice. “Want to try that drift again?” I asked him. Jack smirked, knowing he need not answer. We turned the boat, swung wide around the flat and then cut back into place, setting up perhaps 50 yards from where we began the last drift. Darkness was settling around us. 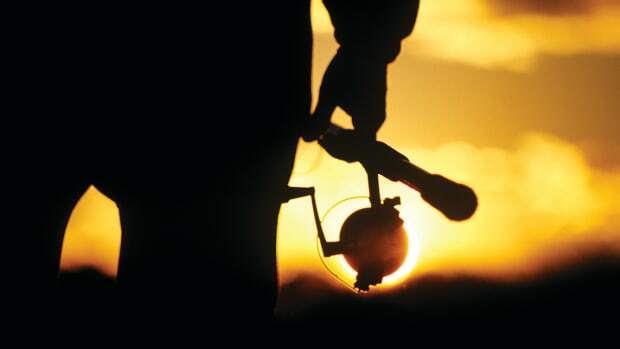 I am torn at times like this between the rules and what the rules can cost — should I leave the running lights on so people can see where we fish? Or should I switch them off and keep our secret? My son was aboard. We followed the rules. Jack fished on. 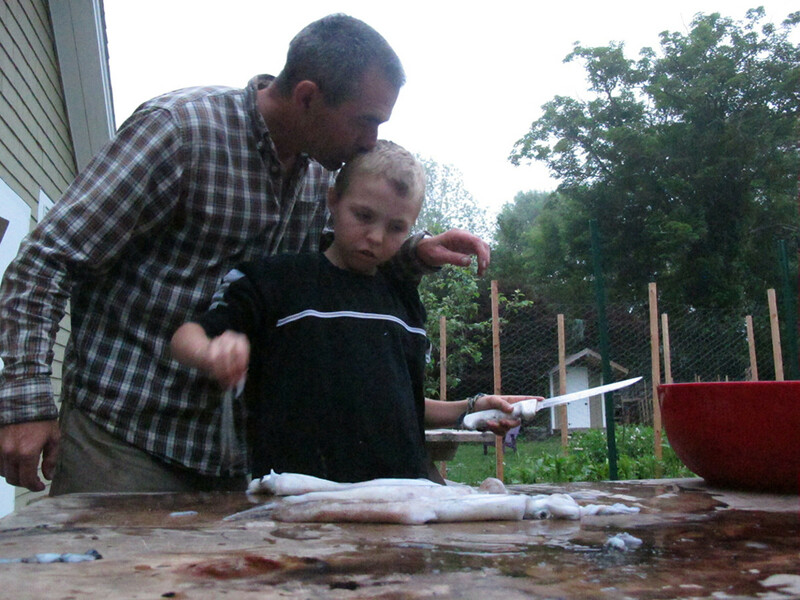 I cut down my casts, wanting him to have the first crack at the fish. I watched as his rod was pulled down and he pulled back hard, and then leaned into another good fish’s first run. I chuckled inside; usually I’m not this good. I chuckled more because there was no need to tell Jack that. They say all fishermen are liars, which I don’t believe. But this line — we have all the time in the world — is perhaps the biggest lie of all. 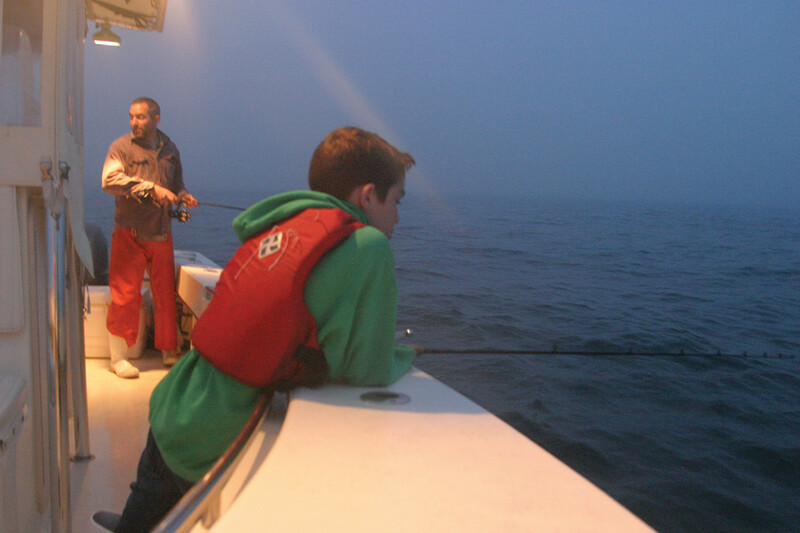 And so when the fish came aboard, a near twin of the first bass but a little larger, I was sure to let Jack savor it, and we sat afterward and drifted in the blackness, the breeze rippling our clothes, the salt mist all around because I knew, even if he did not, that time is actually short. Nights like this must last. 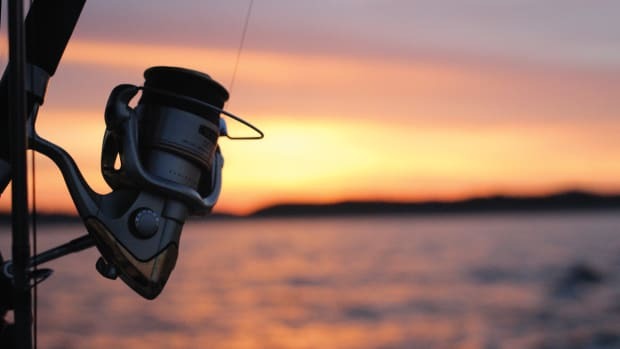 The next night we headed out earlier than usual, drawn to the waves, even if not expecting striped bass until the sun settled lower in the sky and the blue water took on its evening gray hue. 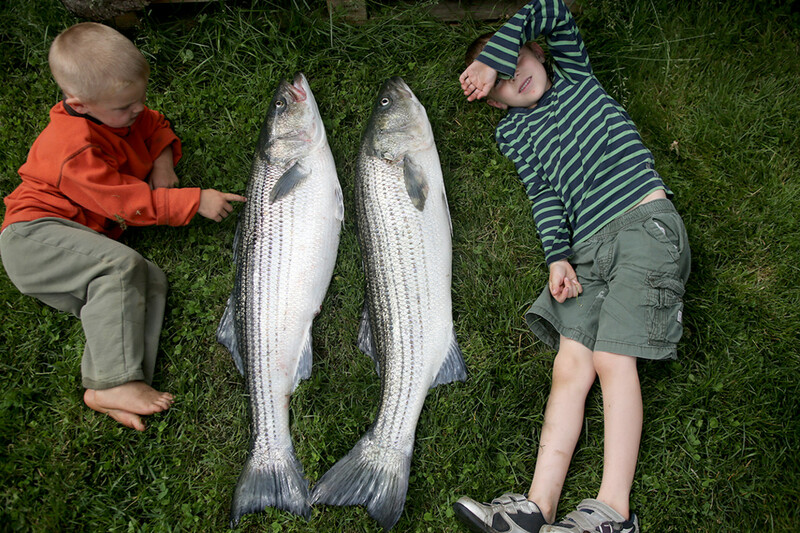 When we first moved home from overseas, in 2008, I fished hard at night while my two oldest sons, who were then 8 and 6, slept on the wet deck. I was letting them learn by exposure. 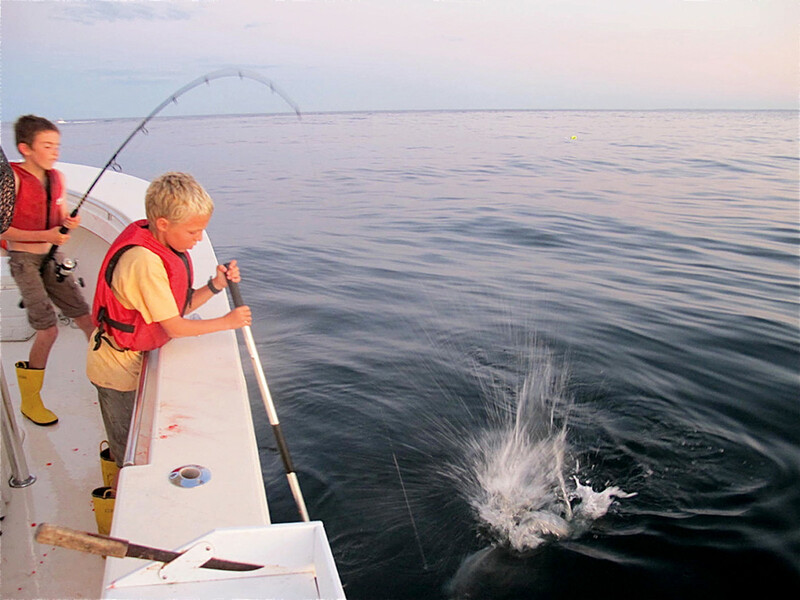 But we also branched out by day, chasing black sea bass and bluefish and especially porgies, known locally as scup. The kids learned a mix of fishing and watching. Gradually, as each year passed, we brought more kids at night, and the older boys began to join in, trying to handle the heavier tackle. 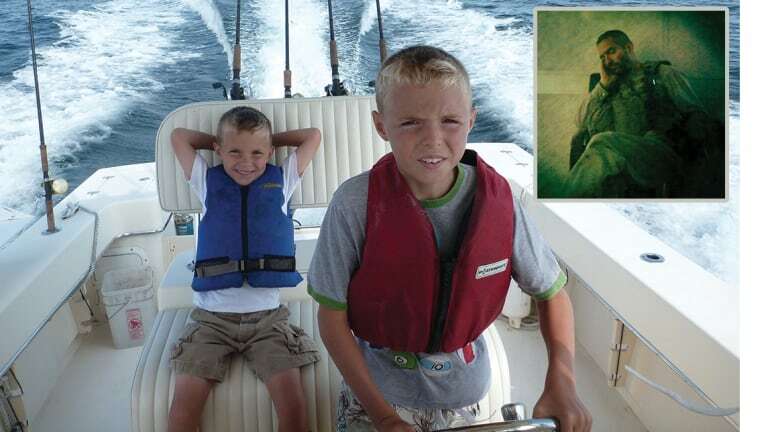 Now Jack is able to fish the way I fish, and he has become the boat’s first mate. And on this night, his brother Mick, who is 11, joined in, too. 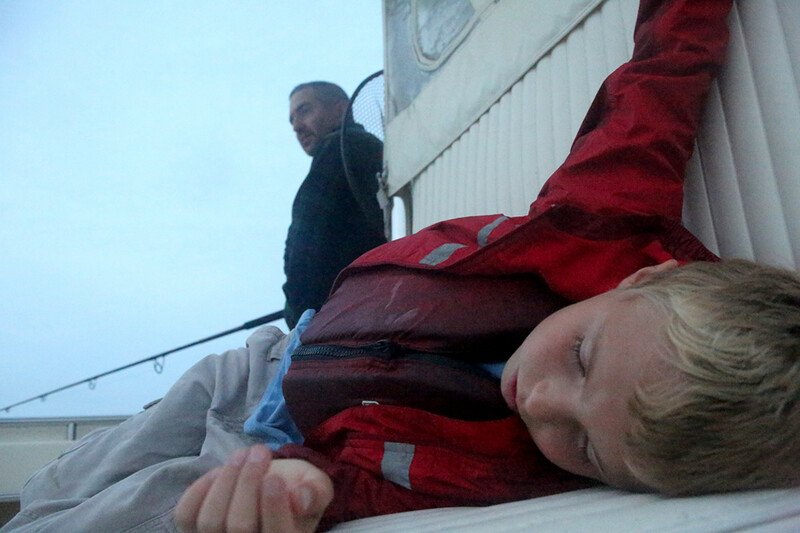 I know he worries when I am overseas and reveres the time on the boat. Three drifts over the submerged boulder fields passed without a strike. On the fourth we drifted over part of the pile we had missed, and then we allowed the boat to continue farther downwind, to a spot where the flats give way to a drop-off and the water falls from 11 and 12 feet to 17 or 18. Sometimes the fish are here. One night a few years back I boated a bass about 46 inches long in this same spot. As the water deepened I felt a single heavy knock. My eel stopped cold. I hauled back and set the hook. For a moment, nothing happened. The eel had been almost back to the boat when this fish hit, and the big cow bass must have risen off the bottom to within 5 feet or so of the surface to stop her prey. I felt her swing her head from side to side and turn. 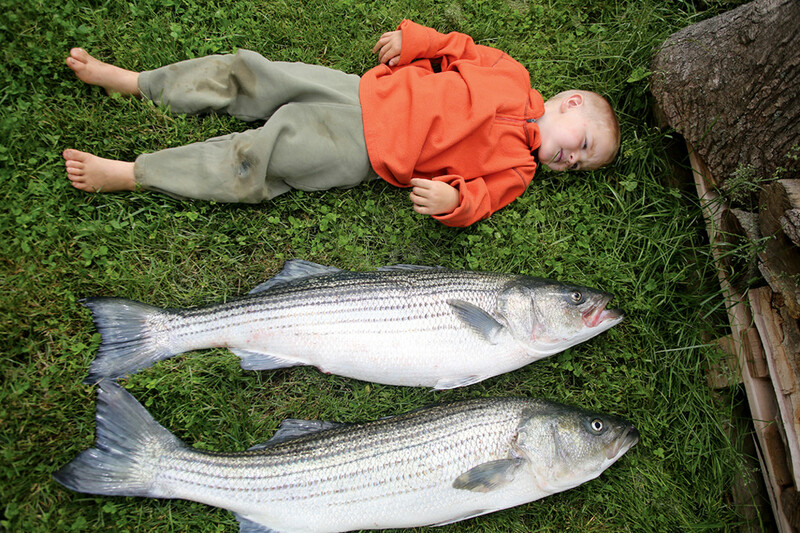 This was no normal bass, not another one of those 20- or 25-pound fish. As she turned, she dove, leaving a powerful swirl on the surface that looked 4 feet across. I was using 40-pound test and a heavy rod. 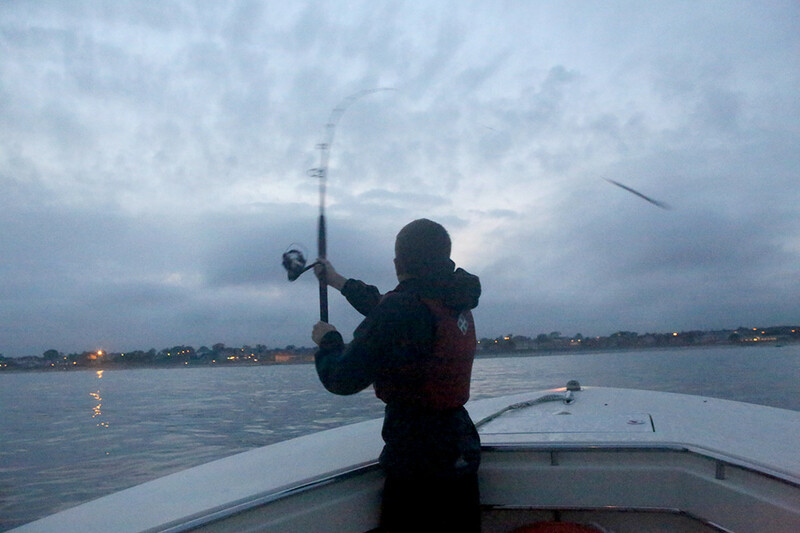 The drag was cinched down quite tight, the normal setting for us, so we can put brakes to the fish we most often catch. Those brakes were no match for this fish. Not yet. She bolted. The reel sang as if the drag were hardly tightened at all. The rod seemed as flimsy as wet pasta. “This is a good one,” I said to the boys before realizing that they were already standing beside me. “Can’t stop her,” I added. All we could do was wait for the first run to end and then come to some decisions about next steps. I felt her strength and knew she had reached bottom and was running along it back onto the flat. Then — nothing. I guessed what had happened before we checked. She had run back into the rock piles, rounded a boulder and cut the line like a hair. A minute or so later we inspected the point where the line had parted and saw the small concentration of abrasion marks where it had crossed barnacles or mussel shells and was severed. Jack and Mick seemed disappointed. I reached for a fresh leader and laughed. I said: We are not in Iraq, or Afghanistan, or Libya, or Syria or anywhere else. They nodded respectfully. But I knew they found that thought tiresome. It is possible for them to understand that their lives are good and that they are lucky, but still be disappointed not to boat that bass. I didn’t push it. But my mind raced on, silently: I am here, on the sea near the home we have made in New England. And they are with me. And we have a box with several more pre-tied leaders and carefully sharpened hooks. And a bucket with many more live eels. 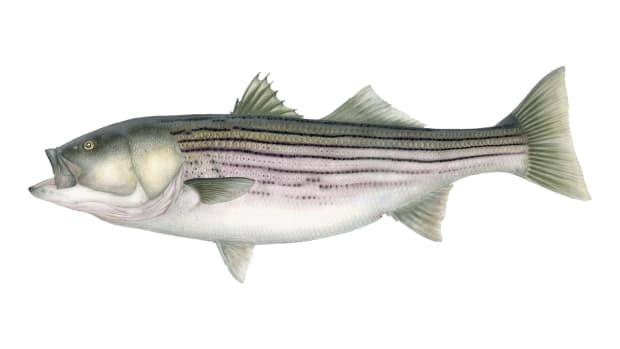 And it is June, when large striped bass often hunt in the shallows at night. And the sun will soon set. 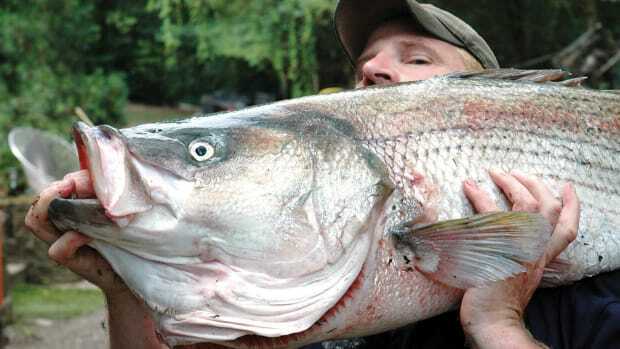 And we know where large bass have been feeding, including a bass as large as any I have ever hooked. Being here, like this, is enough. 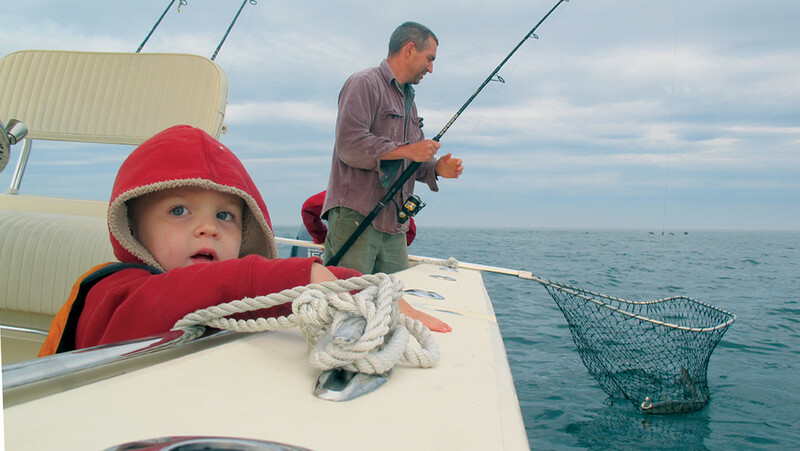 It comes to this: A fishing boat, well chosen and well used, is much more than a boat. It is an extension of the very idea of family and the idea of self. And I know we will have fish in the fishbox tonight. These two sons and I will feed our family tomorrow, here, where we are all home. 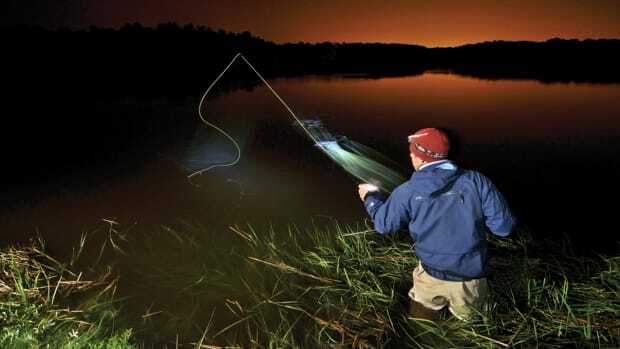 The air is warm, the watercool, the fishing slow on the third night. A nearly full moon hangs overhead, its pale light strong enough to cast shadows on the boat’s deck. We have been fishing for almost three hours. Aside from a scup that had somehow decided to attack an eel and ended up on Jack’s hook and then in the boat, we have not had a touch. I had hoped for clouds, for mist, for fog. Anything to dim the light. But the fish are not here tonight, not under the moon’s unfiltered glow. We position the boat, drift a few hundred yards, casting as we go, and position the boat again. No change. As the hours give way the breeze drops off until it is little more than a breath. The boat barely moves. Willie, who is 7, has fallen asleep early, curled up on the bow. And now Jack has faded, too. He had been sitting on a cooler, nodding off, but has given up on trying to stay awake and has allowed himself the luxury of slumping to sleep right on the deck, just as he used to do for years. I cast this way. Nothing. That way. Nothing. And move again. Now and then this long string of submerged rock piles goes quiet like this, and what had seemed as busy with life as an undersea jungle can seem empty of movement and possibility. This is one of those nights. My ears are ringing from a near miss in Syria, a blast that almost got us. They have been ringing on and off since spring, sometimes so loudly I blink in perplexity, and tonight the tinnitus is loud like that, here, in the quiet, under the damned moon. I know I am lucky to be where we are. I know I am going back to the place where I earn my living and that there will be danger again. And I am torn between the reverie of a gentle sea and the urge for a fish, the urge that has driven all of this since before I can even remember. I almost don’t cast again, and allow a little rest. Should I just sit and drift and absorb this beauty and be content? The answer comes quickly, as it always has. 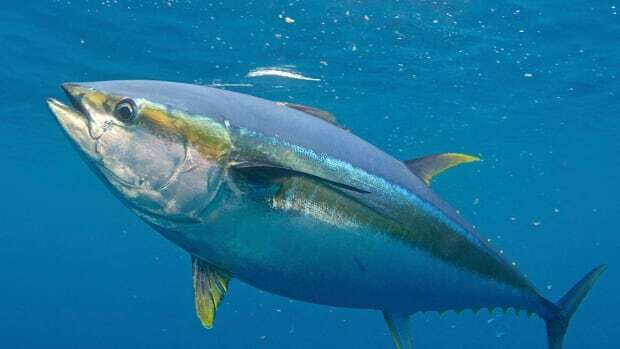 I want a fish for tomorrow, a fish big enough to feed the house. And so all of this time out here must be lived but not as a spectator. I start the engines and drive, up on plane, running lights on, at the wheel of the only boat in sight, feeling everything working just as it should, except my ears. My eyes pick up the lobster pot buoys arrayed in the rough water around Point Judith, and I weave the bow around them, one by one. The boys, secure in so many night runs like this, do not bother to stir. They sleep, tickled with spray. The mind is here but not here. It plunges back past this slow night and retrieves from memories the ways I have managed at least a stray fish under bright moons on still nights from the years when we did not own a boat. The tide is dumping hard, which means it will run stiffly past the jetty near one of the openings to the outer walls of the Harbor of Refuge, and there, in the thicket of lobster-pot lines, where 22 feet of water meets a nearly sheer stack of boulders, there will likely be a few bass, facing the current, hovering above the darker depths, no matter the moonlight. The boat seems to do the rest automatically. It slides past the opening, eases back on the power and settles in off plane. It almost glides upstream, turns broadside to the tide so its hull can catch the current and slow, and then it stops, momentarily, the distance of a cast off the wall, perhaps 150 feet above the ambush spot. Then the current catches it, and it begins to move, perhaps at a knot or a knot and a half, heading bow-first toward where we need to be. The lobster-pot buoys leave wakes as the current tugs them. The bow gets nearly into range, and the eel sails out and plops onto the water. I frown. I’m just a little too far out. The eel is not close enough to the rock wall. 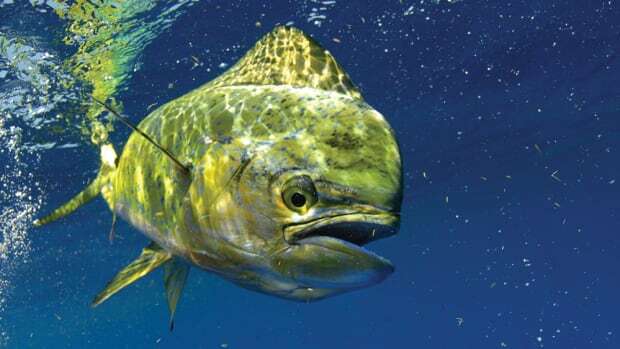 That’s a spot for bluefish, not striped bass. I retrieve quickly, let the boat drift on another 100 yards, and turn the boat around and swing back. The second drift begins closer to the wall. 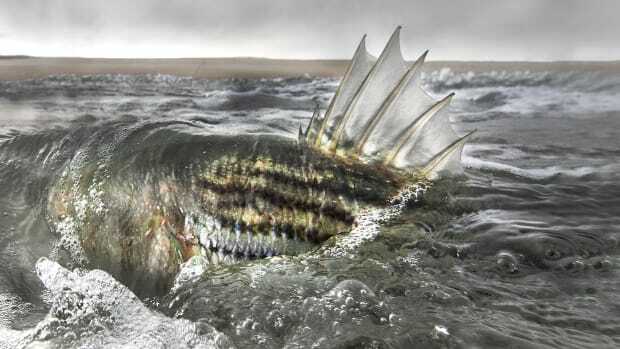 The eel flies and hits the white water where dropping tide meets ocean swell, and before it can even dive the rod is pulled down hard. I used to do exactly this on jetties, surf-casting through the nights. 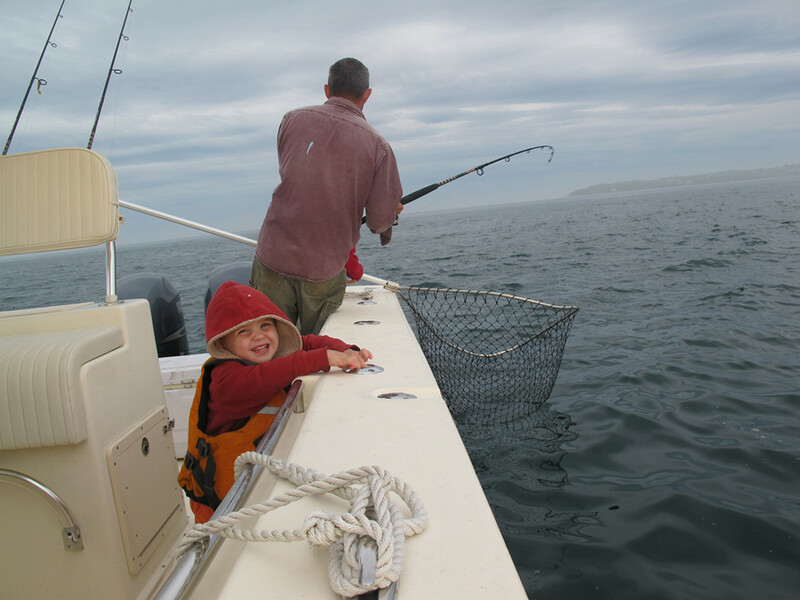 Some fishermen, when everything works, are little more than their memories being relived. And tonight I am one of them, doing one of the things you can only do with age. My next thoughts are automatic. I know the fish will head down current, which it does. And we are traveling with it. It’s a decent bass. I can feel its weight as it takes line, but it’s not an amazing bass. And as we clear the lobster pot lines and drift into the sandy channel I know the advantage is with us. I remember then: This is not about me. It is about us. And we’re a family. 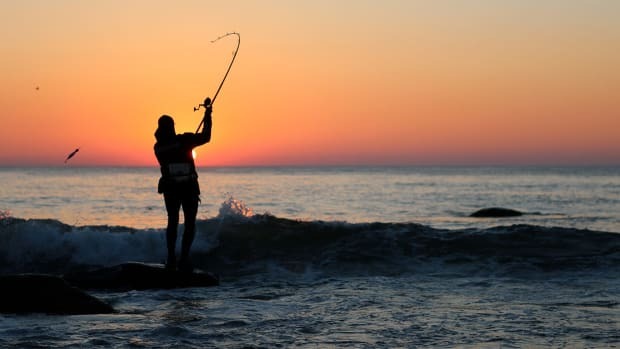 He scrambles into action, quickly moving past his sleeping brother, his hands working automatically, too, until he is standing beside me as the fish comes to the net, and everything is as it is supposed to be, just as in the daydreams that sustain us through each winter, and through everything else.